If you are new to the home loan process, you may encounter industry jargon that sounds confusing. First time home buyers might not realize that most mortgages, FHA loans or not, require down payments plus cash needed to close. April 1, 2018 - If you are new to the home loan process, you may encounter industry jargon that sounds confusing. First time home buyers might not realize that most mortgages, FHA loans or not, require down payments plus cash needed to close. The down payment and the other money you need at closing time are not considered the same thing; FHA home loan rules state that your down payment cannot be supplemented by the other out-of-pocket costs of the loan. Hence the need in the FHA loan handbook, HUD 4000.1, to identify the down payment requirement and the total cash needed to close. HUD 4000.1 describes the down payment as a “minimum required investment” or MRI for short. The MRI for FHA home loans is 3.5% of the adjusted value of the property. This is the minimum requirement and may be a higher percentage depending on the borrower’s FICO scores and other factors. FHA loan down payment funds must come from approved sources, and if the borrower brings gift funds from a third party as a portion (or all of) the down payment, the lender must verify the source of the gift funds, too. 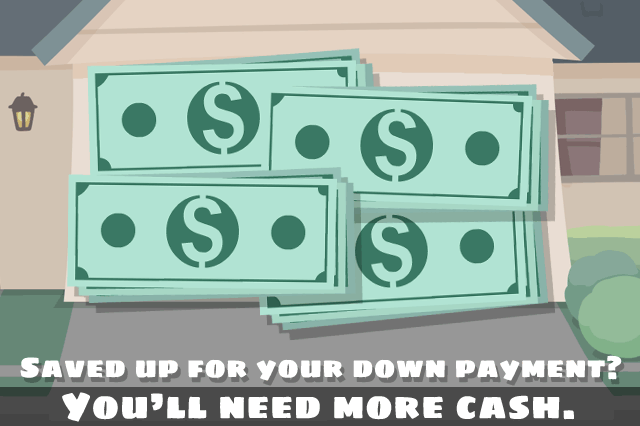 Aside from the down payment, other cash may be required up front to close your mortgage. A good example-most FHA loans today will require the payment of an Up Front Mortgage Insurance Premium at closing time. Borrowers can choose to finance this expense and include it in the loan amount rather than paying in cash, but the payment or financed amount must be 100% of the premium. No partial payments or financing is permitted. You may need other cash to close the FHA home loan depending on the nature of the transaction, lender requirements, or other factors. But it cannot be stressed enough that this cash paid at closing time will not be counted in the amount of your FHA loan down payment. Why Are Down Payment Requirements Different From Lender to Lender? FHA loan rules for down payments and the total required investment (cash needed to close the loan) are not the only rules in play when you apply for a mortgage loan. Your lender’s standards may be higher than the FHA loan minimums. Some lenders may require higher down payments for certain FICO score ranges than others. If you have good credit this may not be an issue, but there are plenty of borrowers who are not sure what FICO scores might require a higher down payment. Speak to a loan officer about your concerns to see what options are open to you for a new home loan.